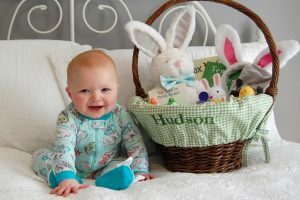 Now that it’s finally warming up outside, I’m starting to crave fresh veggies and snacks. 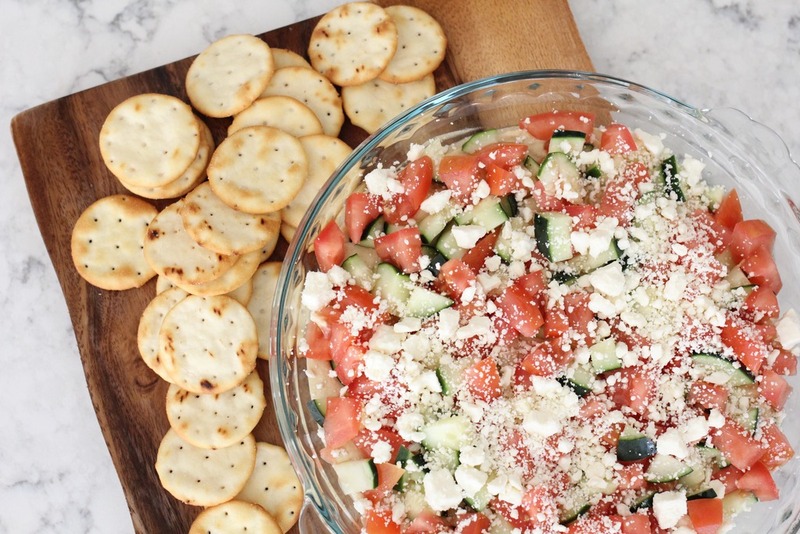 This weekend I whipped up this amazing Hummus, Tomato, Cucumber, and Feta dip for a simple appetizer and it was so good! I love experimenting with fresh ingredients and this dip did not last long before it was devoured. This appetizer serves a crowd and never disappoints! And it’s healthy! 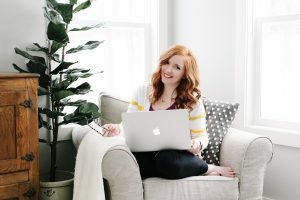 Totally something I feel comfortable serving to my friends and family…..and it doesn’t make you feel weighed down and heavy, like so many other appetizers. 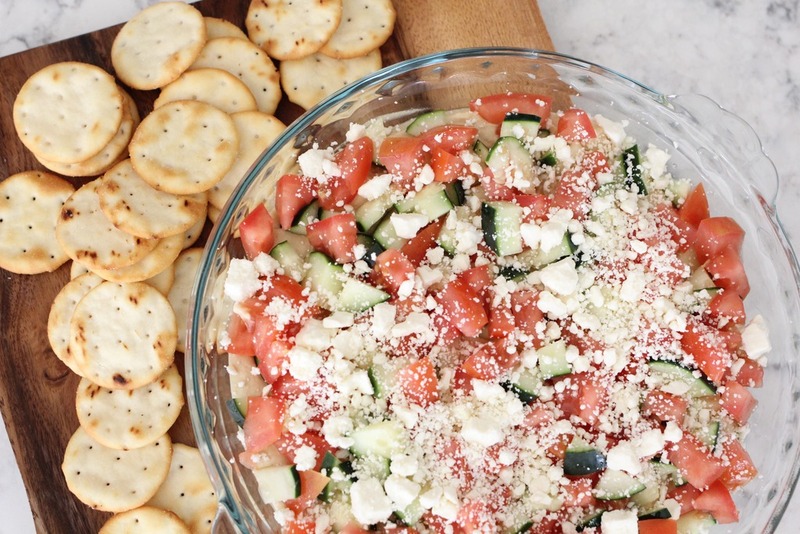 This dip will certainly be on rotation all Spring and Summer long and it’s great for last minute guests! 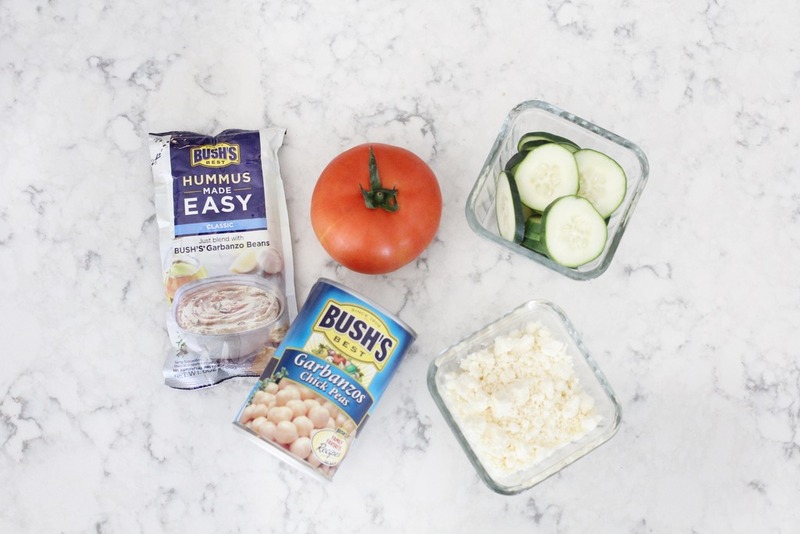 Bush’s Hummus Made Easy, one can of Bush’s garbanzo beans, one tomato, one cucumber, and some feta cheese (to taste). 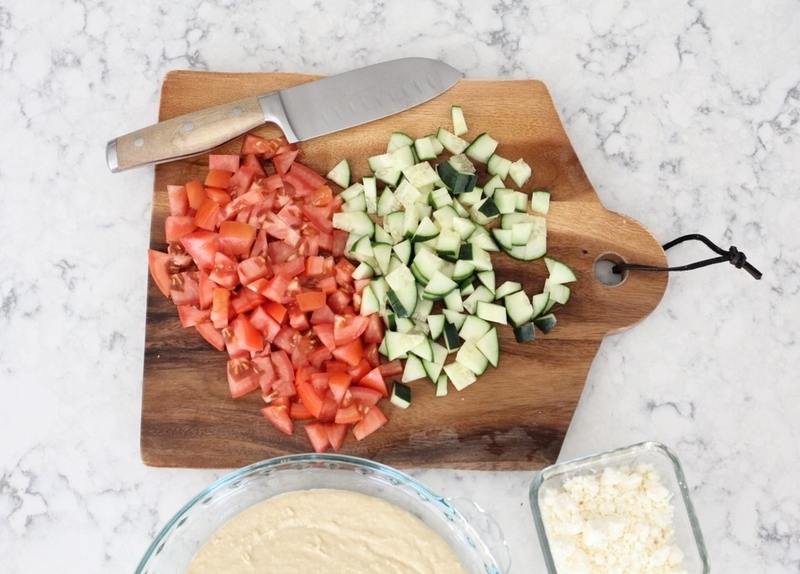 First you’ll need to make your hummus…..that’s right, make it yourself! 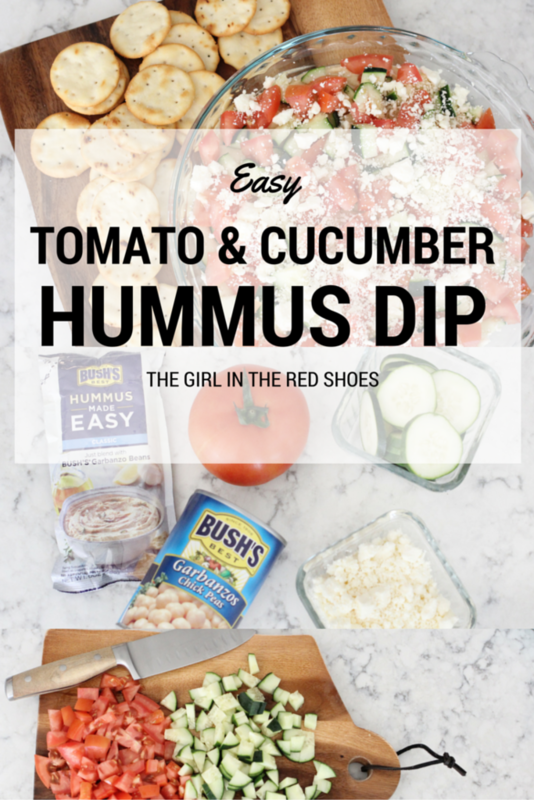 It is super easy….all I did was blend one can of garbanzo beans with Bush’s new Hummus Made Easy mix. It took literally one minute to do and it was delicious! Next, chop up your veggies. Then pour your hummus in to a pretty dish, then top with veggies and then sprinkle on your feta. It’s that easy. And that yummy. And….it tastes just as good as it looks. 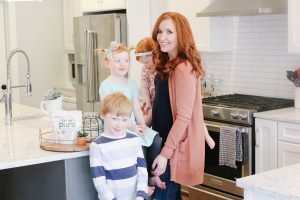 I’m keeping theses stocked in my pantry for last minute entertaining options! 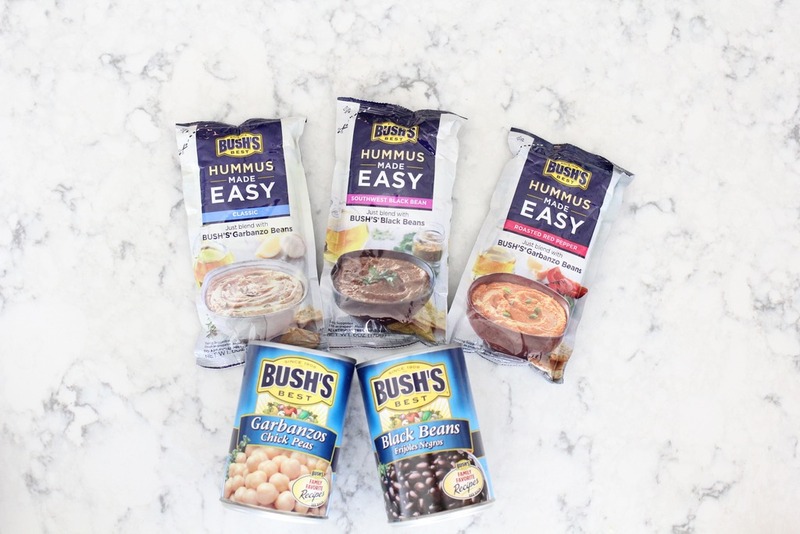 Bush’s Hummus Made Easy mixes are available at Walmart and comes in different flavors. They have no preservatives and really tastes so yummy. I can’t get over how easy it was to make hummus by myself. Just beans and the mix and you’re done! These all taste great on their own with the perfect dipping chip of course! This looks so good! I just started weight watchers and this looks like it'd be a great low point snack! I've never heard of bushes hummus made easy. Definitely checking that out!! Yummy! Great way to use veggies besides just dipping! Yum! I love the idea of adding the veggies to the dip! And I love a hummus that is easy to make. 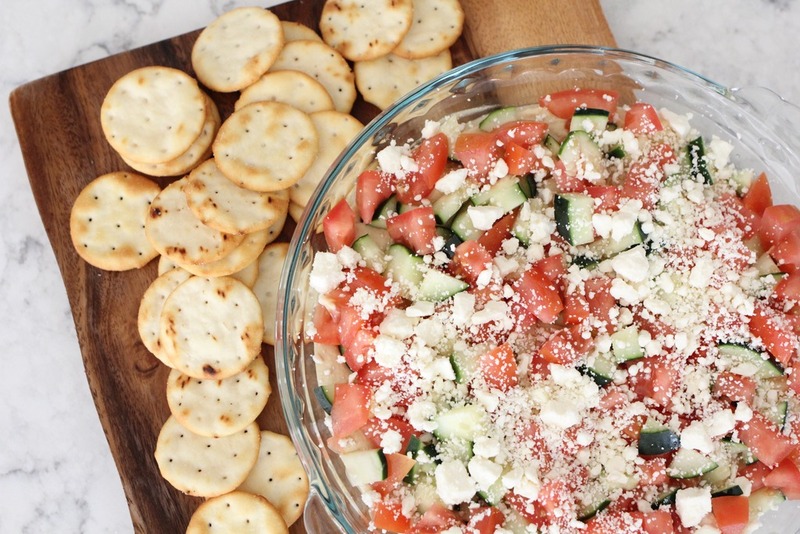 Ooh yum, adding tomato and cucumber to a hummus dip is a great idea! 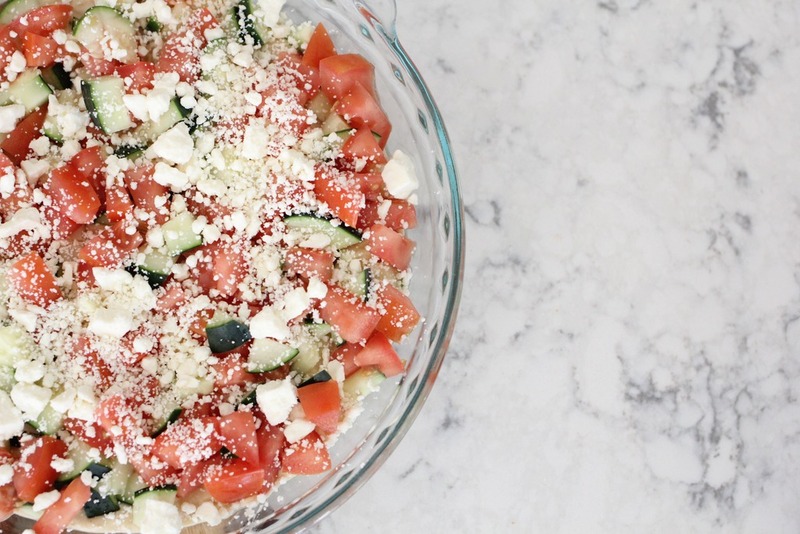 I love anything Greek related; this looks delicious and I'm always hunting for easy apps! Looks delicious, yes hummus goes well with everything. I love tomatoes. I love cucumbers. You have accomplished making me hungry LOL! This looks so refreshing and just YUM! Yum!! I would love this! I'm definitely going to make it the next time I have company! Or my next girls night! Oh this looks good! We like to host a lot in the summer and this would be perfect! This looks delicious. 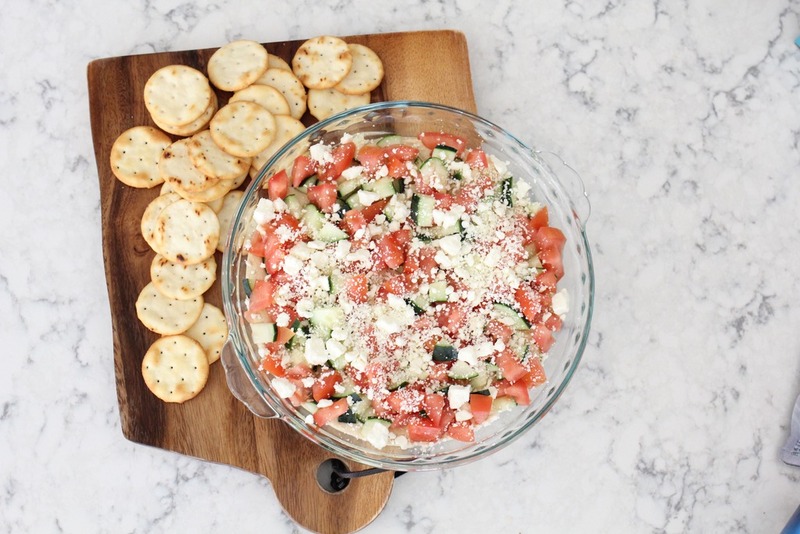 Hummus is a great thing to add to tomatoes and feta. Perfect for summer entertaining! I want to eat that right now! Oh my gosh Im so making this this weekend!! 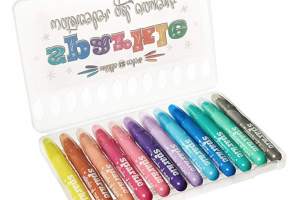 How did I not know about this! I am not a fan of tomatoes…but this looks amazing! I have got to try this. Thanks for the recipe!! Mmmm, this looks so delicious! I love the fresh ingredients; such a light, summery dip! 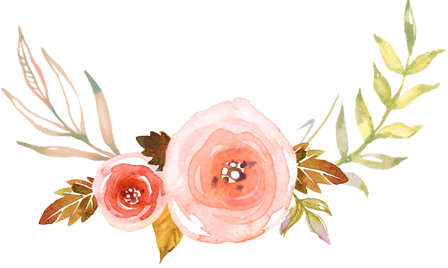 Definitely pinning for later.